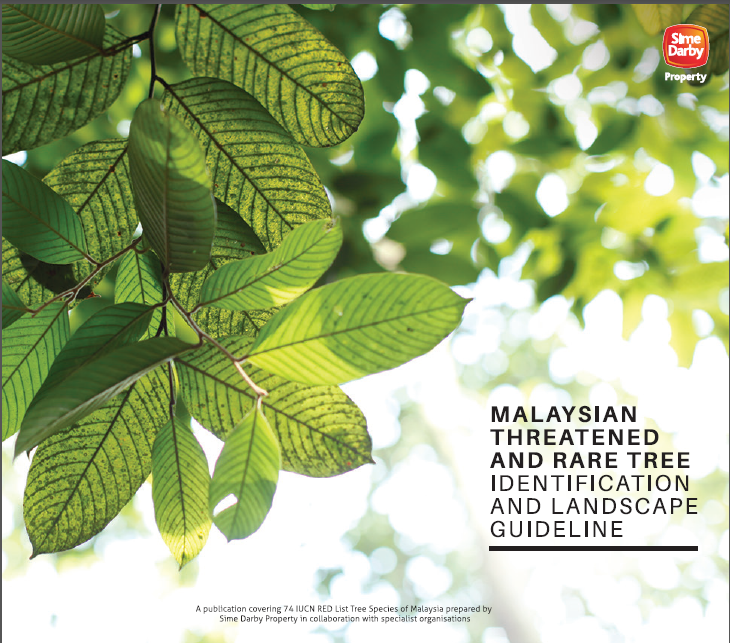 Sime Darby Property has published a guideline entitled ‘Malaysian Threatened and Rare Tree Identification and Landscape Guideline’ in July 2017. The publication aims to build awareness about the status of IUCN Red List Tree Species and facilitate biodiversity conservation in urban spaces via a detailed reference source for landscape professionals during development of landscape plans, for students as well as for other relevant disciplines such as ecology. This Guideline, which we have developed, is the culmination of several years of R&D and collaborative support from many individuals and organisations. Presently, the guide covers 74 IUCN tree species which has been based on the IUCN RED List and has also been cross referenced against ‘The Malaysia Plant Red List’ publication by FRIM. The free soft copy version is available here for viewing.